The trails take place in arguably the most remote and unaffected wilderness area in Africa. 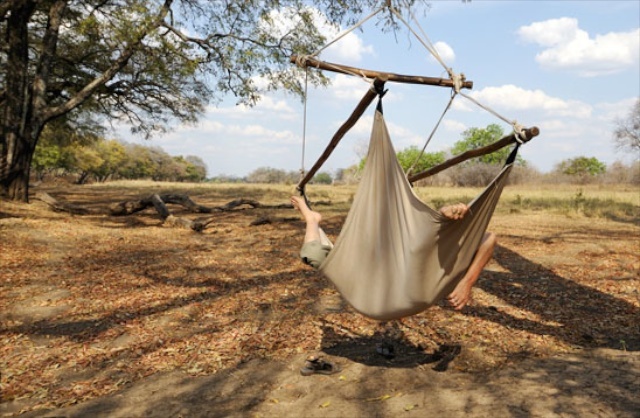 Far from the presence of any other people, the pristine Luangwa Valley offers us the opportunity to submerse ourselves, without distraction, into the vastness of the natural world. Located in eastern Zambia, the Luangwa Valley forms the most southerly (and least discovered) arm of the famous Great Rift Valley. Watered by the meandering Luangwa River, the volcanic soils stretch seven-hundred kilometres long and one-hundred kilometres wide. This ecological hotspot is protected by two major national parks, South Luangwa National Park and North Luangwa National Park. With the perfect combination of prolific game and no sign of other people, this rich valley offers an incomparable setting for a wilderness trail. Zambia shares a border with eight different countries: Namibia, Botswana, Zimbabwe, Mozambique, Malawi, Tanzania, Congo and Angola. This friendly and stable country has remained a hidden gem - filled with wild expanses and tremendous ecological beauty. While other countries have become heavily marketed safari destinations, Zambia remains relatively unscathed by commercialism. Her wild areas are vast and unfenced, allowing game to roam freely on their ancient migration routes. Our eight day journey begins with a four day walking trail in the expansive and picturesque riparian belt of South Luangwa National Park. This area is rich with a great diversity of naturally occurring wildlife but is especially renowned for leopard concentrations. Hippo and crocodiles are particularly abundant. The endemic Thornicroft's giraffe, as well as plentiful populations of elephant and Crawshay's zebra, offer us frequent and rewarding sightings on foot. Amongst many other species, healthy numbers of lion, buffalo, impala, puku, waterbuck, bushbuck, kudu, eland, baboons and vervet monkey exist, and are frequently seen. Roan antelope, Cookson's wildebeest, southern reedbuck and sable exist in this area but are less frequently seen. The groves of tall ebony, leadwood and mopane trees are a prominent feature of the riverine landscape, home to abundant and colourful bird species and diverse plant life. The trail will lead us to two remote camps in South Luangwa, situated in a productive wilderness area where no roads are permitted. 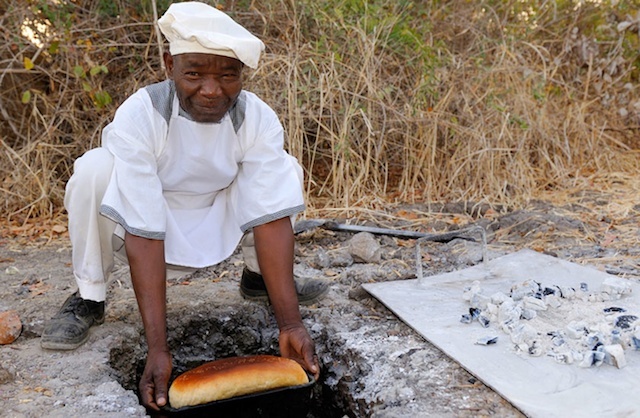 Both camps are authentically built with natural materials and offer full support of chefs, camp staff and porters. The first four days of the trail are dedicated to orientating you to your surroundings and facilitating your understanding of the African savannah. These walks are both experiential and educational, offering quiet explanation of our encounters with animals - their behaviours, relationships and ways of life. 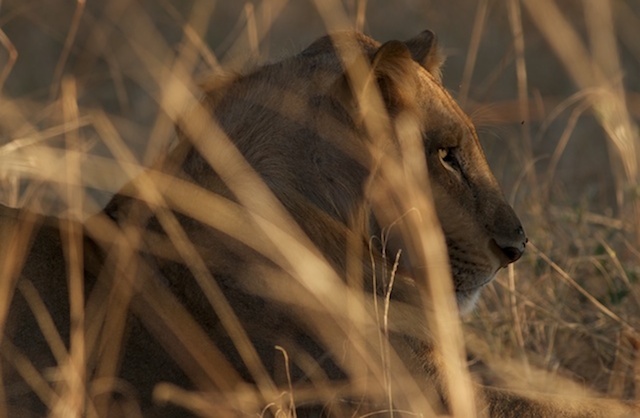 North Luangwa National Park is a truly special place unlike any other. Offering a genuine feeling of solitude and seclusion, this remote sanctuary is a forgotten world. The park is a restricted wilderness area and special advance permission needs to be gained to enter. Even more remote than the south, North Luangwa is a far less accessible wilderness and remains in a deeply undisturbed state of existence. Like South Luangwa, the area hosts a great diversity of creatures. In the north, the Luangwa River runs closer to the valley escarpment. The soils are sandier and favour different plant species, which in turn influences the composition of creatures further up the food-chain. Where the south is known for leopard, elephant and giraffe, the north is renowned for lion, large packs of hyena (who in this area do most of their own hunting), great herds of buffalo, and the concentration of Cookson's wildebeest. Black rhino, which do not occur in the south, have been reestablished in North Luangwa, but are shy and seen only by the fortunate few. Perhaps the most distinct presence here though, amidst a certain spaciousness, is the feeling of the wild itself. 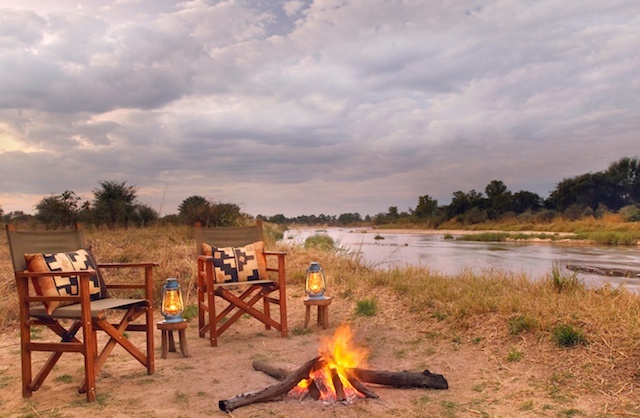 Our camp in North Luangwa is situated on the sandy riverbank of a crystal clear perennial river. Long stretches of water are too shallow for hippos and crocodiles, making it safe for us to wade across, or lie down with clear, ankle-deep waters spilling over us. The camp has three thatched chalets, built entirely of natural materials. En-suite bathrooms open to the stars and uninterrupted views of the river. In North Luangwa there is not another person to be seen. Our four day exploration on foot is a rare opportunity to submerse ourselves in the natural world, far from the reaches of humanity. What will surprise those who experience the wilderness in this quiet way is just how vivid our experience of the world becomes when we slow down and free up mental space by removing our accountability to words, concepts and social preoccupations. This is an experience of the wild like no other. This journey is an opportunity to experience the African wilderness, accompanied only by the human virtues of humility and respect. Our trails are led by Primal Pathways founder and respected wilderness guide, Brent Harris.